Creating craft that are inspired by children’s books encourages children to read and makes learning fun! 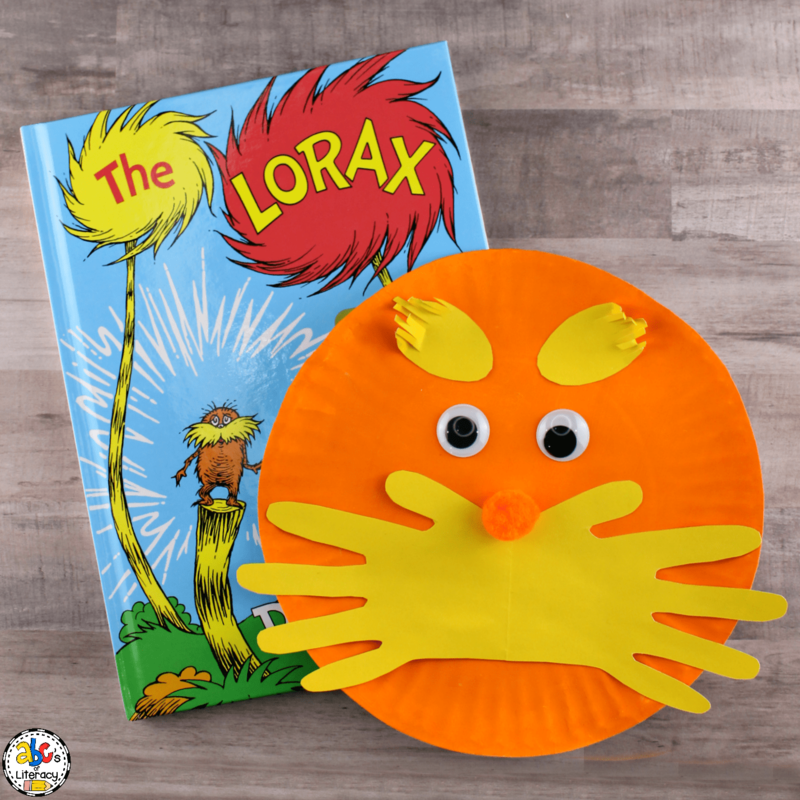 The Lorax Inspired Hand Print Craft is an easy-to-make craft for kids based on the children’s book, The Lorax by Dr. Seuss. The Lorax is a whimsical story with an important message about the dangers of cutting down trees, pollution, the effects of not taking care of the environment. You can add this creative and cute craft to a unit on taking care of the planet, recycling, or Earth Day. 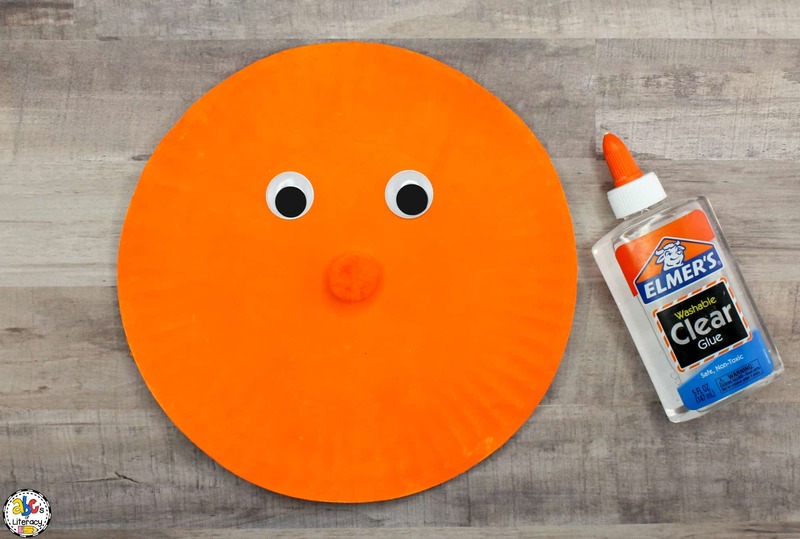 To begin making this book-inspired craft, your students will paint a paper plate with orange paint. 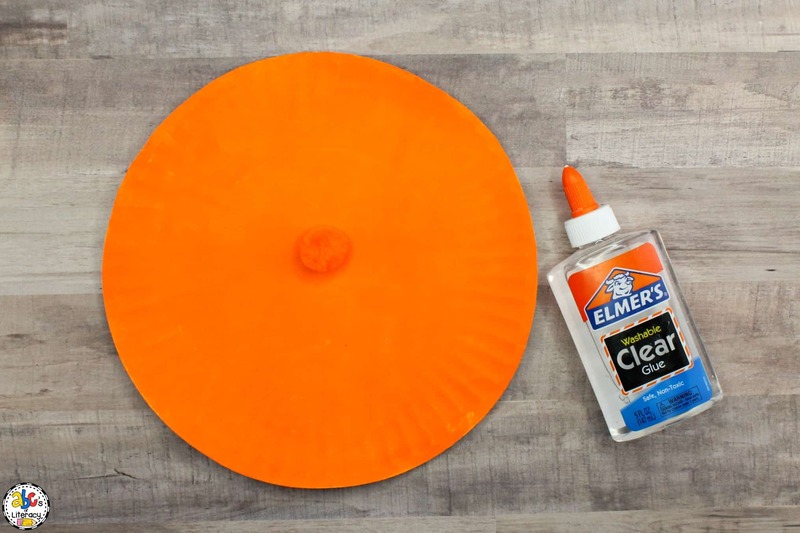 If you want to save time, you can buy orange paper plates at most party supply or dollar stores. 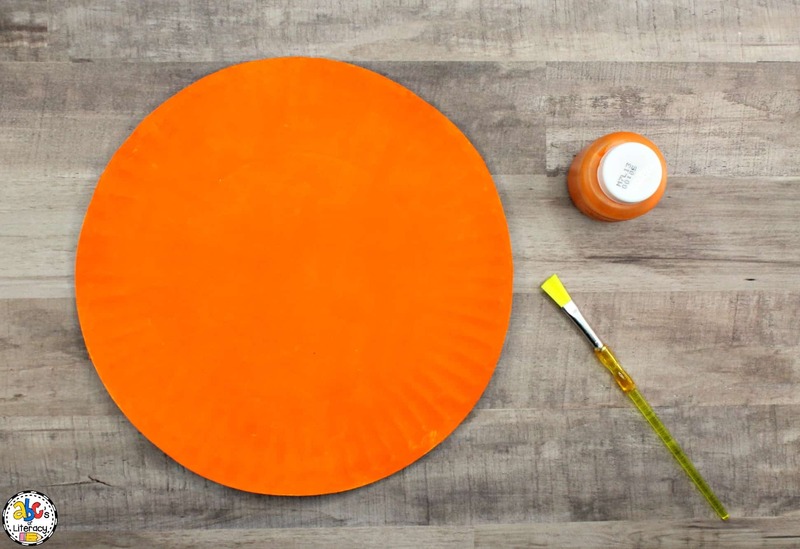 After the paint dries, they will glue the orange pom pom on in the center of the plate for the nose. Next, your students will glue googly eyes on above the pom pom. If you don’t have googly eyes, you can create eyes out of white and black paper. 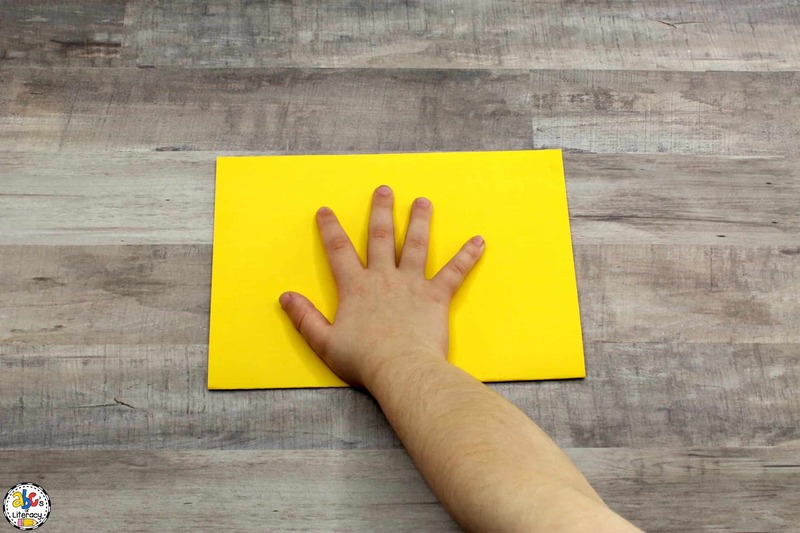 While the glue dries, they will fold a sheet of yellow construction paper or card stock in half. Your students will then trace their hand. Next, they will cut their hand out. Your students will then unfold the paper and glue their hands onto the paper plate for the mustache. 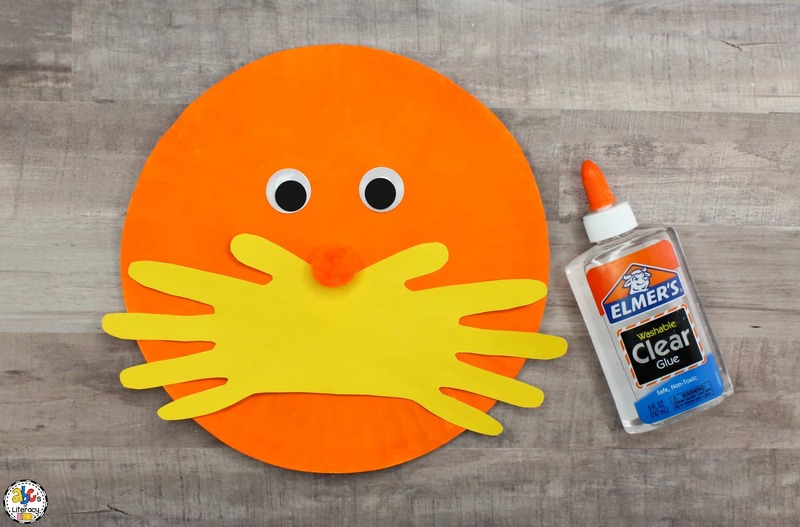 After gluing on the mustache, your students will cut two ovals out of yellow construction paper or card stock. They will then cut small, thin slits on one end of each oval and bend them up and down. Finally, your kids will glue the ovals above the googly eyes for the eye brows. Snack: Make a Lorax snack by using an orange for the head; cheese for the nose, mustache, and eyebrows; and raisins for the eyes. 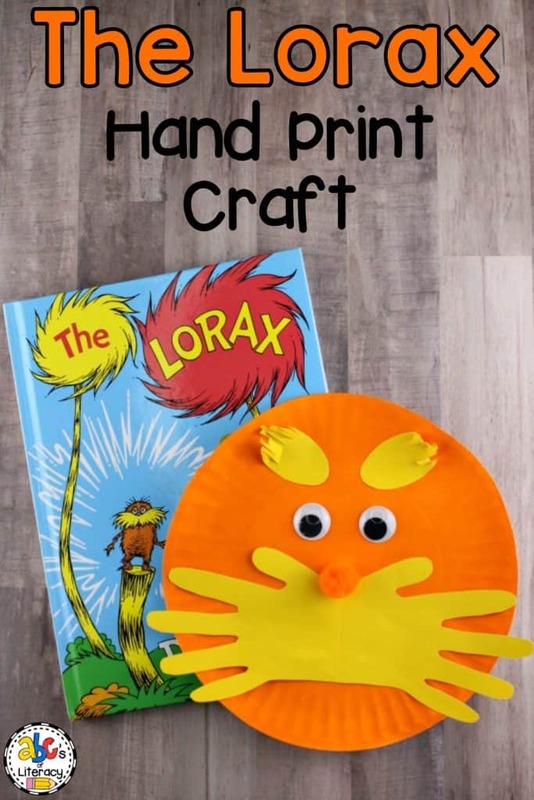 Creating The Lorax Inspired Hand Print Craft is a fun way for children to celebrate reading month and Dr. Seuss’ birthday on March 2nd. Are you looking for some fun activities to celebrate Dr. Seuss’ birthday? This Dr. Seuss Author Study has a variety of resources that your students can use throughout reading month to learn about the author including a craft, writing activity, and character book report. Do you Want more ideas and resources? Get hands-on activities and free printables delivered right to your inbox! I REALLY want to subscribe to the newsletter to receive freebies and more!